Home / Entrepreneurship & Small Business Marketing / Whole. Not Hole. I have times where my life feels incomplete and full of holes; I am sure many of you can relate to moments of self-doubt and low self-esteem. Almost everyone I know well – be it friends, family, athletes, clients or business owners – tell me they had moments in their life, where they were filled with fear, negative self-talk, pessimism, self-doubt and/or low self-esteem. In fact HAD moments isn’t accurate; HAVE moments would be far more appropriate. All too often, my internal dialogue obsesses over what I perceive to be the holes in my life, relationships, business operations or personality. The things I find in the microscope of my mind vary from day-to-day. There is very little rhyme nor reason as to what shows up and when or why. The mainstays visit often; however, I can confirm no area of my life has ever been immune to my self doubt and fears when the dark thoughts roll in. It may have been a bad nights sleep, a poor client interaction, my current insecurities, my current physical or social environment, external validation – or lack thereof, my mental health or emotions..the list of stimulating fuel for the fire is endless. Honestly it can be almost anything, yet at times it has been triggered by what appears to be nothing in particular at all. Regardless of the the cause or the target, I always feel the same…weak, flawed, incomplete and full of holes. When things go dark in my mind I try and find a visual cue which can re-set my perspective back on the right path. Today I found perspective and motivation in a rather unlikely place…a box of donuts. 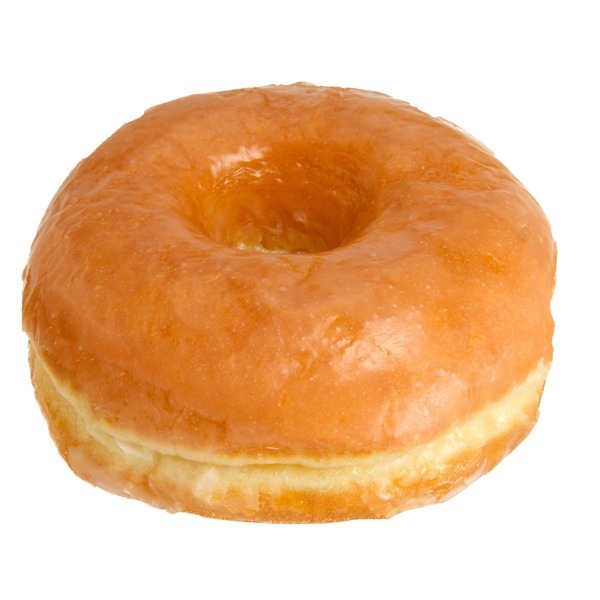 Donuts by their very nature are incomplete…yet they remain desirable to virtually everyone. Why is that? Simple, because when we look at them, we see them as whole. Not a hole. We enjoy them because we focus solely on what is present rather than what is missing. We see them for their sweetness, their substance and their sprinkles and sparkles…their shine if you will! Perhaps it is time I start looking at myself the same way I do a donut…after all, it is I how I instinctively see the people in my life whom I admire. I see them as whole and perhaps I need to remind myself, others see me the same way. If I can see a donut as complete I certainly can practice seeing myself that way as well. I can learn to emphasize what is right in my world, what is present and the joy my strengths can bring to those around me…I too can be desired like the donut even with a few holes present. A good paradigm shift is like coffee for the soul and today was exactly what I needed…speaking of coffee, who wants to join me for one this afternoon. I need something to wash down my donut. Thank you! There are many people walking around who believe they are less than whole. At time, that’s me. Thank you for the mindset shift today! The struggle is real for many…however, I do not believe it is talked about openly enough. Appreciate you taking the time to comment Lorna!